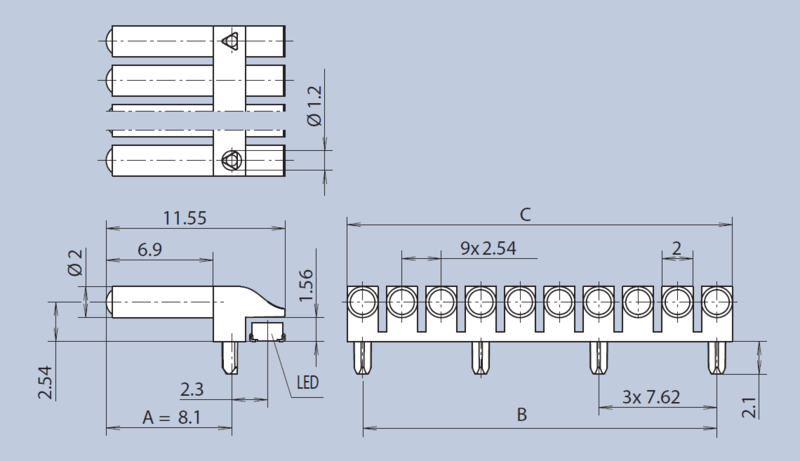 This single row miniature light guide system with a grid dimension of 2.54mm is mounted on the PCB via press-in lugs. It is designed for use with with SMD MiniTOPLEDs. 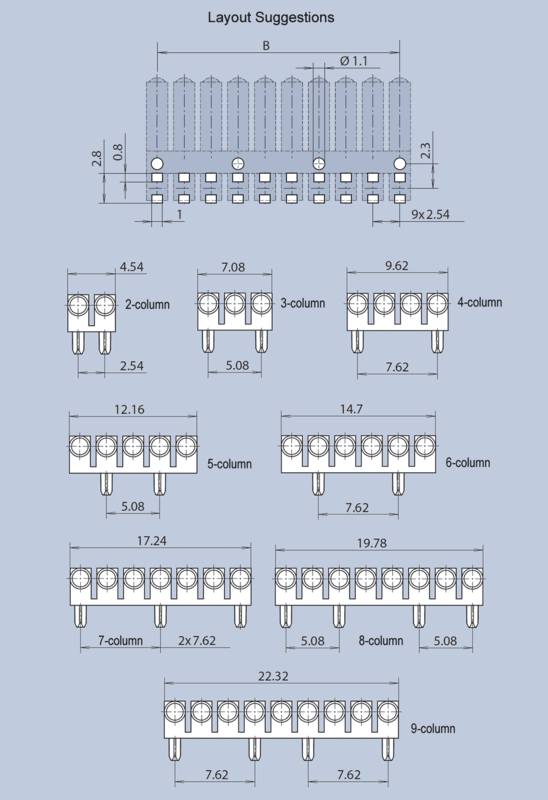 The system is available from 1-column to 10-column. Whilst standard length A is 8.1mm, infinite variations from 5.6mm to 45mm are possible with minimal or no tooling costs.